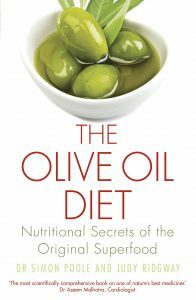 This is the second in my new series of posts looking at evoo that is on the shelves at the moment. 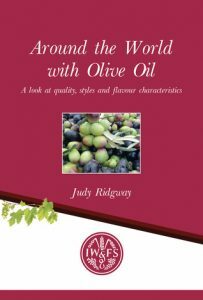 I am very lucky to have samples of extra virgin olive oil sent to me from time to time direct from the producers and of course this oil is likely to be the very best they produce. So I thought I would have a regular look at what is actually on retail sale in the shops and on dedicated websites. This month I bought two oils off the Amazon website which I was surprised to see featured so many extra virgin olive oils. The third oil is from my local Marks & Spencer store. This oil has a pleasant aroma with simple, straightforward, mainly herbaceous flavours with a touch of grass and lemons. The taste in the mouth is similar but with some culinary herbs and salad leaves. Medium strength pepper grows and lingers gently into the after taste of leaves, nuts and biscuits. This is gentle to medium style of oil which is good value for money. However, I am not sure how interesting it will be in another year’s time! This oil comes from the Sierra de Gata region of Extremadura in Western Spain. 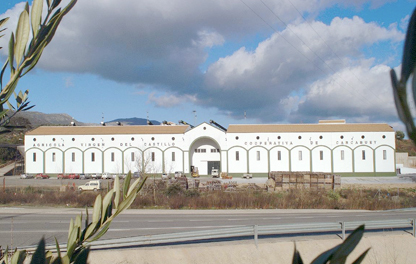 It is pressed from the Manzanilla Cacereña olive which is more usually used for table olives. This oil has a pleasant, light and herby aroma with apples and a touch of tropical fruits. The same light and delicate flavours are found in the mouth but are quickly followed by a quite a slug of pepper. There is very little bitterness. The pepper begins t fade and some grassy, nutty tones appear in the after taste. This oil is a little unbalanced and could do with some more fruit, However, it is now the end of the season and when the new season’s oil comes on steam it should have more depth. This oil comes from Priorat de Cordoba in the Subbetica mountains in central Andalucia in Spain. It is pressed from the Hojiblanca olive by one of the largest co-operatives in Spain. The olives for this oil are the first of the season to be picked in the area. This is a really complex oil with mixed fruits, herbs, tomatoes and green bananas in the aromas. All these flavours remain in the mouth with some culinary herbs like parsley and sage and then deep tones of wet grass, rocket and watercress and more tomatoes on the vine. The oil is extremely well balanced with bitterness and pepper pleasantly growing and fading to leave a deliciously long and lasting after taste. This oil may be quite expensive but it is well worth the extra cost for its wonderful mix of tastes and flavours. It is a world class oil even though it is probably a year old.